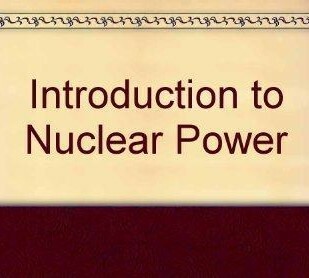 To explain the fission process in nuclear materials and how the nuclear reactors work and the basic components of nuclear reactors and their types. Explanation about cooling of reactors, features of coolant, different types of coolants used in the reactors and the losses of cooling. Discussion on loss of cooling accidents in different reactors. Discussion on postulated severe accidents in water cooled reactors and other reactors and cooling of reactor during removal and processing. Discussion on cooling and disposing the nuclear waste and prospect of fusion energy in the future. L1 – Remembering, L2 – Understanding, L3 – Applying. Cooling Reactors: Introduction, General Features of a Reactor Coolant, Principles of Heat Transfer, Gaseous Coolants, Liquid Coolants, Boiling Coolants. L1 – Remembering, L2 – Understanding, L3 – Applying, L4 – Analysing. Postulated Severe Accidents Introduction: Introduction, Postulated Severe Accidents in Water- Cooled Reactors, Specific Phenomena relating to Severe Accidents, Severe Accidents in other Reactor Types, Fission Product Dispersion following Containment Failure. Cooling and Disposing of the Waste: Introduction, Classification of Waste Products, Fission Products and Their Biological Significance, Options for Nuclear Waste Disposal, Long-Term Storage and Disposal of Spent Nuclear Fuel, Storage and Disposal of Fission Products from Reprocessing Plants, Disposal of other Materials. Explain the fission process in nuclear materials, basic components of nuclear reactors, types of nuclear reactors and their working. Discuss loss of cooling accidents in different reactors. Discuss postulated severe accidents in reactors and cooling of reactor during removal of spent fuel. Discuss cooling and disposing the nuclear waste and prospect of fusion energy in the future. Engineering Knowledge, Design/ Development of Solutions, The Engineer and Society, Environment and Sustainability, Ethics, Project Management and Finance. · The question paper will have ten questions. · Each full question is for 16 marks. · There will be 2full questions (with a maximum of four sub questions in one full question) from each module. · Each full question with sub questions will cover the contents under a module. · Students will have to answer 5 full questions, selecting one full question from each module.